Nuremberg Rallies was a gathering point for The National Socialist German Workers' Party (Nazi Party, NSDAP) from 1923 to 1938 in Nazi Germany and the Republic of Weimar. The first gatherings by NSDAP took place in 1923 in Munich and 1926 in Weimar. It was only in Nuremberg after 1927. Nürnberg was chosen for pragmatic reasons. This city was a good place. 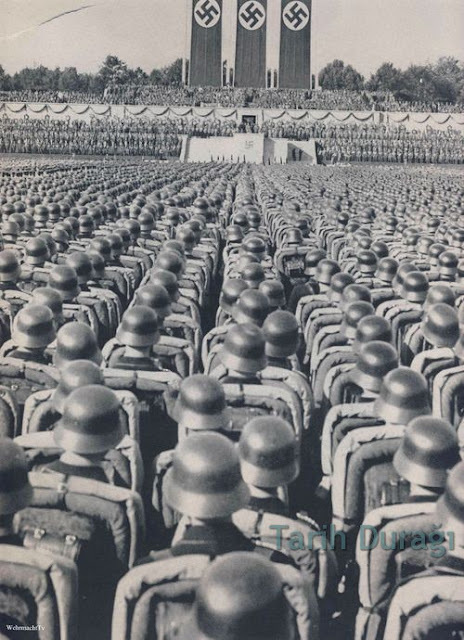 The Nuremberg police were sympathetic to these rallies. The party, the army and the state reached a peak with the number of participants from all walks and the number of over half a million participants growing every year. The demonstration of power at these meetings was not only limited to the area of ​​rallies; A walk to the city center was also carried out by enthusiastic crowds.